The fiftieth anniversary of the assassination of John F. Kennedy has led to such wailing that it may be time to insist on emotional restraint. Among the laments occasioned by the anniversary that I’ve encountered from those who weren’t even alive in 1963 is that “our lives would never again be the same.” I’ve also heard from the mouths of babes that “we ceased to be an idealistic people because of the death of our young president.” Another narrative I picked up from National Public Radio is that JFK was on his way to calling off the Cold War and devoting himself 24/7 to social programs and civil rights for blacks. But then someone (anyone but a Communist named Lee Harvey Oswald) murdered the president. Why should I be surprised that journalists have doctored up this particular disaster to provide themselves with a usable past? Let me express my agreement with Wall Street Journal favorite, Ira Stoll, who, in JFK, Conservative has written a polemic showing that if Kennedy were alive today and pursuing the policies he did during his presidency, we would consider him a conservative. What Stoll means by this description is that Kennedy was a neoconservative before his time. He was a liberal internationalist in foreign affairs, who affirmed America’s mission to bring “human rights” to everyone on the planet. Moreover, while Kennedy contributed to the incremental growth of the federal welfare state, he also enacted a reduction of marginal tax rates for the wealthy, with congressional approval. He practiced supply-side economics before Reagan, the purpose of which is to increase the government’s intake of taxes, by allowing more money to be invested in the private sector. As for the contention that Kennedy was going to make nice to the Soviets just before his death, the evidence is, if anything, underwhelming. Nor can we prove that he was more of a civil rights activist than his predecessor Dwight Eisenhower. If his brother, Robert Kennedy, vigorously investigated the violence that erupted against some activists and hapless blacks during the civil rights demonstrations as attorney general, it was the Republican Eisenhower who sent the National Guard to integrate schools in Arkansas in 1956. The civil rights legislation that Kennedy proposed was passed under his successor, Lyndon Johnson, mostly with Republican votes. It was Richard Nixon, Kennedy’s opponent in the presidential race in 1960, who had the stronger track record as a civil rights champion. Although an object of media loathing, Nixon enjoyed the enthusiastic support of Martin Luther King, Sr.
At the time of his assassination Kennedy was far from the cult figure that journalists and court biographers have made him out to be since his death. Now deemed to be the most beloved president of the twentieth century, especially among the young, Kennedy was far from universally adored when he was in office. He may well have been defeated in 1964 if the Republicans had run a less polarizing figure than Barry Goldwater. Further, Kennedy’s razor-thin victory over Richard Nixon in 1960 may have been determined by the voting irregularities that a friend of the Kennedy family, Mayor Richard Daley of Chicago, was able to arrange for in Cook County, Illinois. 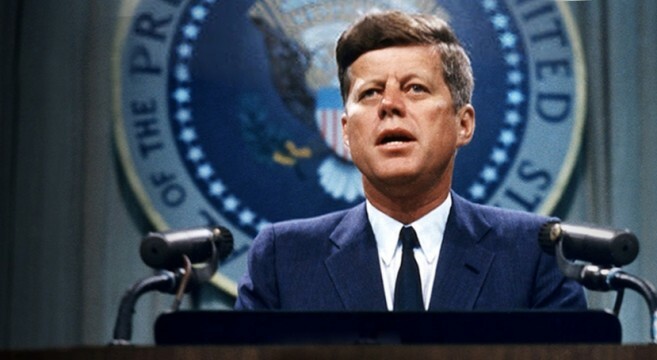 Kennedy was notably ineffective in dealing with Congress, and his fiasco in trying to invade Castro’s Cuba with exiled Cubans at the Bay of Pigs was widely viewed as typical of his ineptitude. Much like Obama, but without an utterly servile press at his beck and call, Kennedy developed a reputation for being a celebrity without much substance. His reputation has changed because the custodians of public truth have seized upon Kennedy’s career and assassination to advance their progressive agendas. Like another presidential victim of assassination, Abraham Lincoln, JFK has been made to represent whatever the media and academic Left is pushing at a particular time. As in the case of Lincoln, but even more so, we are made to feel guilty that an inspirational leader died from an assassin’s bullet. In Kennedy’s case, the manipulation of facts for political purposes was there from the beginning. That is because since 1963 the media and even professional historians have been playing games with the facts. For starters, they equivocated or lied about the plain truth that Kennedy was murdered by an embattled Communist. From the day of the assassination forward, I’ve been hearing that it was either a Right-wing conspiracy or the “fundamentalist” culture of Dallas that murdered Kennedy. Anti-Catholic Christian fundamentalists or deranged racists, one might guess from the spin, killed this martyred leader. More recently, longtime Communist sympathizer and gifted filmmaker Oliver Stone has evoked a make-believe cinematic world in which CIA operatives were the real murderers. Nothing in my life changed when Kenney was gunned down, save for my simple-mindedness in believing the media would not disguise ideologically inconvenient facts. That was my loss of innocence fifty years ago. Paul Gottfried (b. 1941) has been one of America’s leading intellectual historians and paleoconservative thinkers for over 40 years, and is the author of many books, including the landmark Conservatism in America (2007). A critic of the neoconservative movement, he has warned against the growing lack of distinctions between the Democratic and Republican parties and the rise of the managerial state.